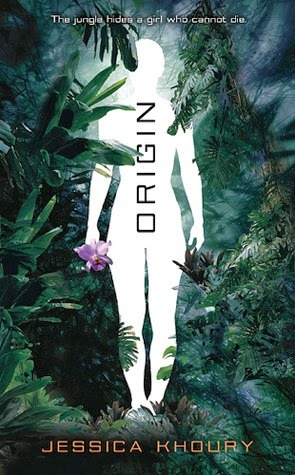 Right now, I’m reading Origin by Jessica Khoury. This book has been on my TBR pile for a while, and I’m glad I’m finally getting around to it. Jessica has such an amazing writing voice, and this idea is so fun, it’s easy to see why this book was published and optioned for a movie! I’ll be excited to see this one on the big screen. Earlier this month, I finished my first draft of my first novel. I was so excited to finally see the the end of what was both a labor of love and the bane of my existence for about a year and a half. So now, HACKED is in the first round of revisions. Initial feedback from my betas showed the story has a lot of promise, but like most first drafts, there are many holes to be patched and filled. It’s a tad overwhelming, but I’m looking forward to revising the story and making it stronger than before. There’s so much that inspires me, but right now I’ll have to go with my discovery of the “Beat Sheet” from Save the Cat! Throughout my writing process, I knew there were “things” inherently wrong with my draft. The pacing was a really big issue for me and truth be told, I wasn’t sure how to fix it. I’d tried so many methods of plotting but none of them worked for me. Until now. I revisited my story with a beat sheet, trying to navigate the beat to find the pacing. And voila! The gaps became apparent and I revisited to see what needed to be cut. Needless to say, I was quite inspired to start right back into editing and I’m even more in love with my story than I was before. Kiddo: Girlfriend and “other kid” were not being nice to me today. She hurt my feelings. Me: You broke up? What happened? Me: Did you break up with her or did she break up with you? Kiddo: Well, I broke up with her. Then she broke up with me. Kiddo: Yeah. I have drama. Kiddo: Yes. I have some of the drama. And do you know what? When she was with me, she didn’t even want to be with me. Kiddo: My friend. He told me. Kiddo: So yeah, that’s what happened. Me: So you and girlfriend are broken up? Kiddo: Nah. We fixed it. We’re together now. *facepalm* I think I’m in trouble when he gets older. I love that Minion gif! Seriously, one of my faves. I read Origin a while back and enjoyed the world building, thought the character development was lacking. Keep up the good work on your revisions. Love that transcript of you and your son. Adorable. Oh my gosh, that conversation was hilarious. The funny thing is there were some nuggets of wisdom tucked in there. I have had ORIGIN on my shelf in my office for so long now it's kind of getting ridiculous. It is on my list of Must Read Soon books. I'm happy to hear it's good. Congrats on finishing your draft! I'm in the thick of revisions right now, so you're not alone. Have a great week! Oh my goodness! That conversation with your son — too cute! I am a HUGE fan of Blake Snyder's Beat Sheet. It totally changed the way I write, and I often find myself identifying the beats when I watch movies. It's crazy how pretty much all of them follow a nearly identical formula. Best of luck with your revision, Stephanie! So far I'm enjoying it. I'm only about 4 chapters in though, so I'll keep you posted. Will definitely keep a close eye on the boy. He's a hoot! Haha! I love the Minion gif, too. It perfectly demonstrates what happened in my head after I typed “The End.” Followed by a glass of wine and total decompression. I'm glad my son has good friends to keep his head on straight, even at this age! Revisions are daunting, but I'm glad I've reached this stage in my book. It's nice to know I'm not alone. 🙂 Have a good one! Yes! The Beat Sheet is my new best friend. It's formulaic enough to keep me focused, but not too strict to where it confines my writing. Thanks for stopping by and have a fab week! I read ORIGIN recently and really enjoyed it as well. I didn't realize it's being made into a movie though. I'll definitely be going to see that one! I really need to check out SAVE THE CAT. I sometimes wonder if I'm the only writer left on the planet who hasn't yet. The Beat Sheet sounds very helpful, so I'll need to look into that more. Good luck on your revisions! I haven't read ORIGIN yet, but I've heard really good things. And CONGRATULATIONS on finishing your first draft of your first novel! That's a big deal. Also, I absolutely love the conversation you had at the end between you and your son. I love kids. They are so crazy. The Save the Cat beat sheet is a lifesaver – I use it when planning all my books now, and also when revising. I loved Save the Cat and the beat sheet idea. That was a big eye-opener for me, too. I can't say as I've followed the beat sheet idea step for step but it helped me a lot with process. I had a similar love-life conversation with my 11-yr-old recently. Although, thankfully, she was telling me how disgusted she was with people in her grade who are “going out.” She said, “Here's what they do – they go up to the other person and ask if they want to go out and if they say 'yes,' they go back and squeal to their friends and then they never talk to each other again. Ever. They forget they're even supposed to be going out!” Yeah, elementary school drama. Oh my!! 🙂 Have a great week!